How do I request a book from Storage? (Dartmouth students, faculty, & staff) - Ask Us! 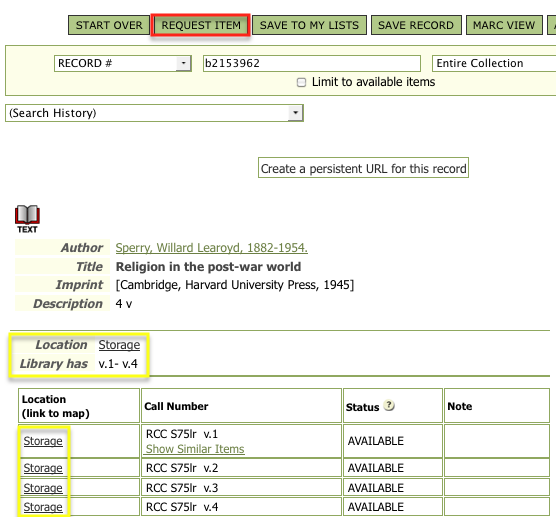 When you find an item you need that is listed in the Library Catalog as being at Storage, click on the "Request Item" button in the full display and follow the on-screen instructions. For a complete explanation, watch this narrated screencast. Requests are processed Monday through Friday; expect 1-2 working days for your request to be delivered. For additional information, see the Storage Library Web page.